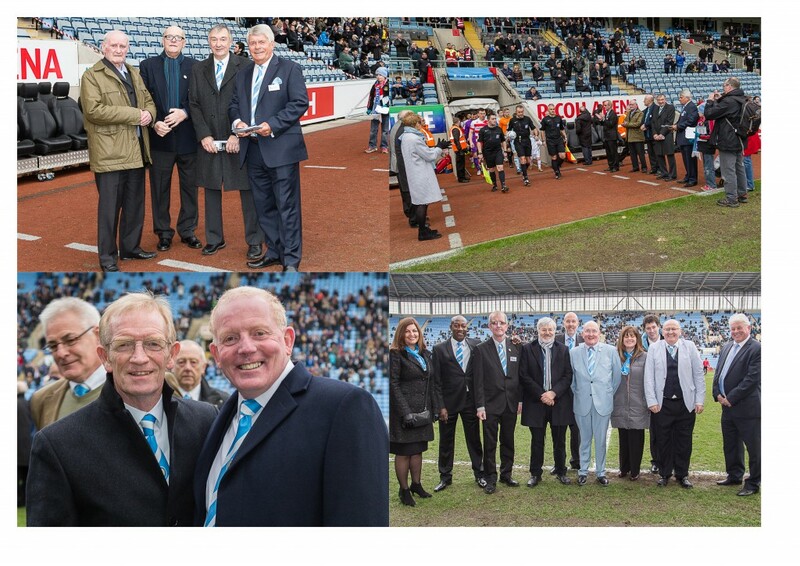 Legends Day 2016 - The Coventry City Former Player Association's major former player reunion of the year is fast approaching! The date is next Saturday 13th February 2016, as we take over the day for the Sky Blues must-win League One game at the Ricoh against Bury. In a double event for our FPs, Legends Day follows the day after the Friday commemorative celebration of the late Sky Blue icon (and CCFPA member) Jimmy Hill at Coventry Cathedral. 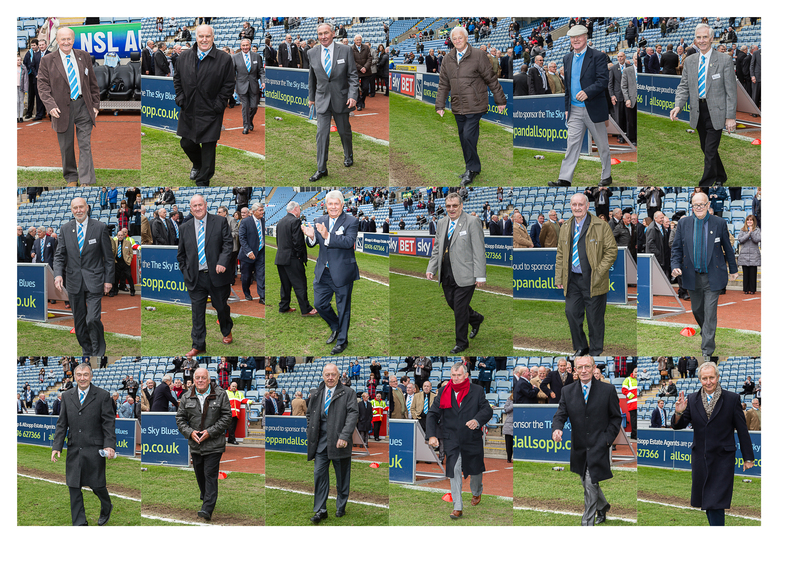 Many of our returning ‘Legends’ will be attending both events (and some will be there on the Friday who are unable to make the Ricoh on Saturday). 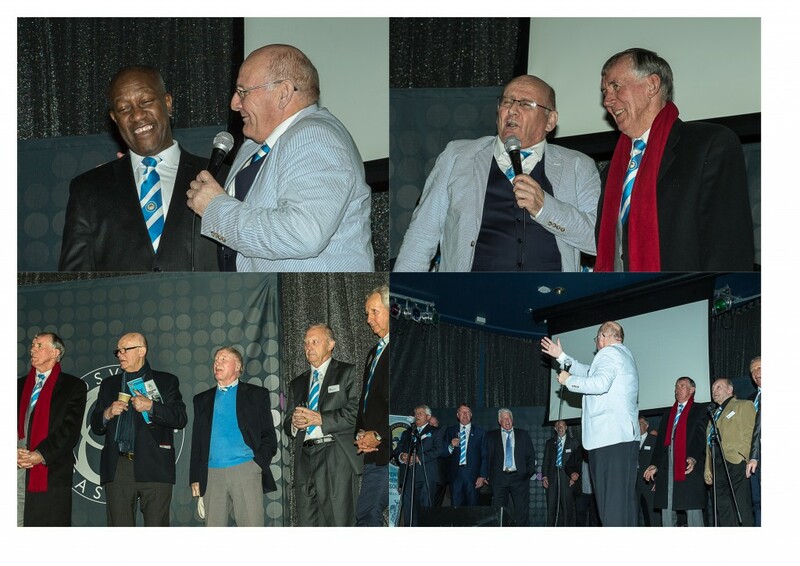 The club’s plans to make the Jimmy Hill connection an extra special theme at Legends Day including in the Family Zone (run by Associate member Pat Raybould‘s team of volunteers) and PUSB (packed with material about our former players (FPs) can be found by clicking here. All the usual, well loved, features of the day will be present once more to maximise opportunities for Sky Blues fans to meet their favourites – including the half-time pitch parade of our veteran Bantams and Sky Blues and the usual fun and games with the former players in Lady Gs in the Casino after the game. We understand that, exceeding last year’s wonderful turnout, over 400 people will be there to share lunch with the ‘Legends’ in the Ricoh’s glass fronted E.ON Lounge before the game. There are still places to join us, however. 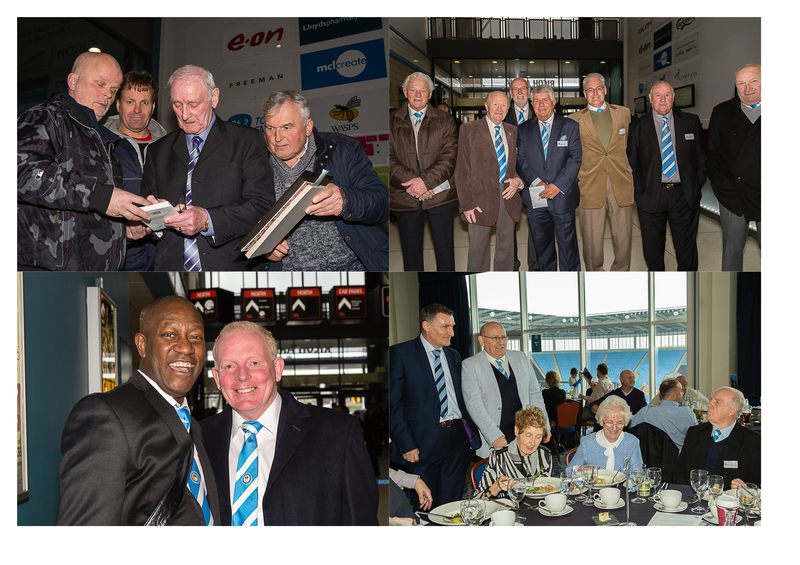 CCFC’s great value hospitality package is £59+VAT adult. (Kids U12 £29.50). This gives you 3-course dining in the E.ON with our FPs, a ticket for the game in a comfortable padded seat with a great view, a complimentary programme and team sheet; man of the match interviews (as well as with many of the FPs) and VIP parking (1 for every 4 places booked). Season ticket holders get a £10 discount. Just call CCFC on 02476 99 1987 (option 2) or email: hospitality@ccfc.co.uk but be quick before they are sold out!